Sweet Vibes! August 2018 Predictions for the USA! We need some down time now, especially after the Lunar Blood Moon! We had a Uranus & Mars square & did experience weather as we’ve never seen before, Fire Tornados, (CA) Wicked Tornados in areas never experienced before, Iowa, & an earthquake in Asia 6.4. now while I never name where the earthquakes will happen as that is a lot of time & work, I would like to mention later that same day we did have a trine with the Leo Sun, & Aries Moon, that did soften the blow to spite the Mars retrograde. August 6th – 12th~ Venus moves into Libra! August 6th~ Venus moves into the sign of Libra! Venus is the ruler of Libra thus bringing a sweet trine with Mars & Venus! Expect sweet vibes between money & stock market! August 7th~ Uranus turns retrograde for the next 5 months! November 6th/7th, Uranus will go back into the sign of Aries 29 degrees. 29 degrees is a “Very Critical Degree” & that is when the USA will be having its mid-elections! Stay tuned! August 9th~ Venus square Saturn. I’m seeing the people displeased with government salaries, look for this in the news, & do seek a reputable news source! August 11th~ Partial Solar Eclipse Supermoon (New Moon) in the USA 8th house. One orb opposite Pluto in the USA 2ndhouse. Look for upsets in money matters related to USA financing. ie…. stock market, banks. I see this happening a week before Aug, 11th! Mercury square Jupiter look for something to do with transportation upsets. Religion upsets. I see this happening one week before August 11th. Everyone needs to enjoy this sweet week the heavens are bringing to us! But remember, you will be flying high on sweet nectar so be sure to keep your feet solidly planted on the ground! I also look for oil prices to go higher in the Stock Market. Gas also will rise at the pumps. August 20th ~ 26th~ Beautiful Trines Coming at Us! August 20th~ Sun & Moon Fire Trine! Enjoy! August 25th~ Grand Trine! Uranus in Taurus, Saturn in Capricorn, Sun in Virgo! Material success everyone! Also adding the Full Moon on August 26th, in Pisces I’m seeing a fabulous, exciting time for the USA! Enjoy! because we also have Mercury square Jupiter, I’m seeing some discord related to railroads & post office, & religion, so have to focus when playing the stock market! 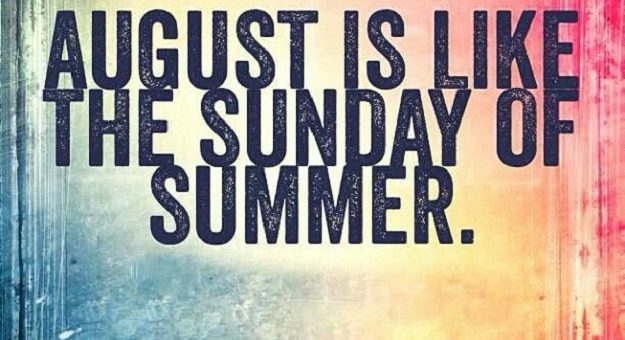 Enjoy August, everyone! We need this so badly to bring happiness & peace, joy, to each & every one of us! My “Astrology for Newbies Classes” is now ready for download! January 5th/ 6th, 2019 Solar Eclipse in Capricorn & New Moon! What the Solar Eclipse Holds for you Aries ~ Pisces! December 2017 Highlights Tax Reform Passes & Judge Moore Elected! Re-Count Needed! Previous story Looking for Love? Astrology Will Predict That! Sun 03° Taurus 32' 10"
Moon 00° Capricorn 34' 56"
Mercury 09° Aries 00' 28"
Venus 04° Aries 01' 29"
Mars 15° Gemini 36' 59"
Saturn 20° Capricorn 29' 19"
Uranus 02° Taurus 35' 14"
Neptune 17° Pisces 49' 55"
Chiron 03° Aries 41' 08"